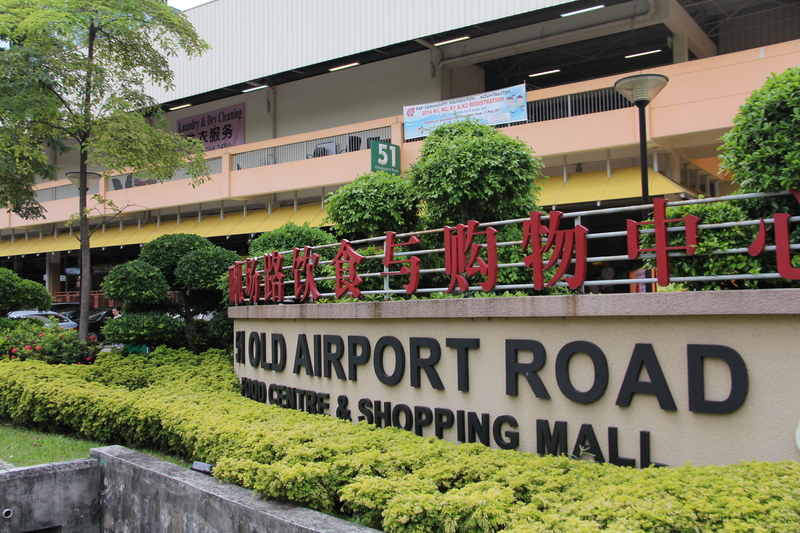 There are plenty of things to eat at MBK, there are a few food courts and in the span of just four hours, I managed to try a lot of different things. 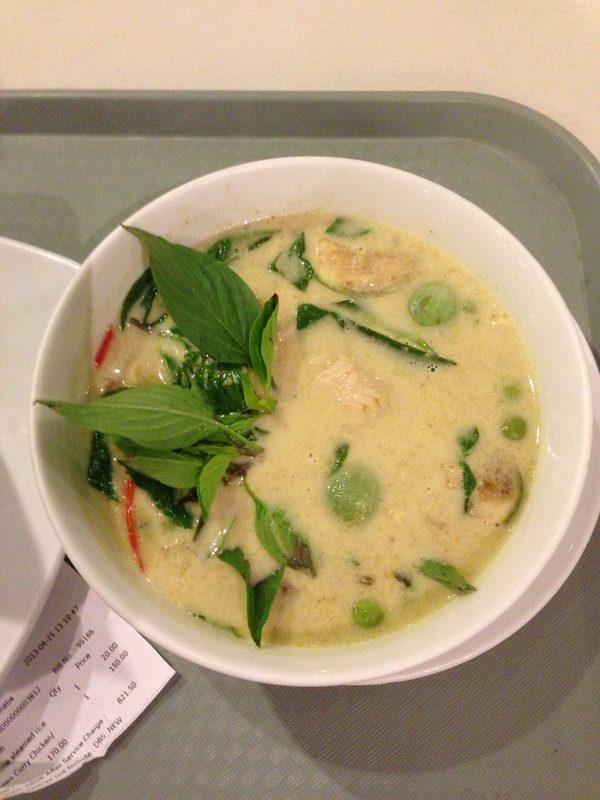 First off, the only real place to get Green Curry Chicken in the food court is at Fifth Avenue on the fifth floor. 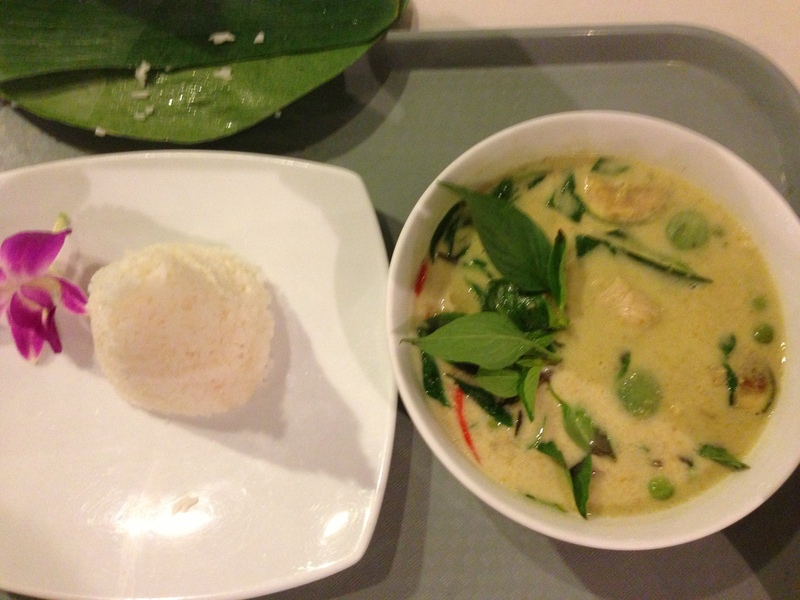 Green Curry Chicken in Thailand is the best, there is no doubt at all. Not too spicy, not too sweet. The eggplant nice, the chicken nice. Not too much coconut either. It just tastes great. 170 Baht with rice, not the cheapest. Then you hit the MBK Food Land on the sixth floor, where you buy coupons and then buy what you want. I always, always love this. 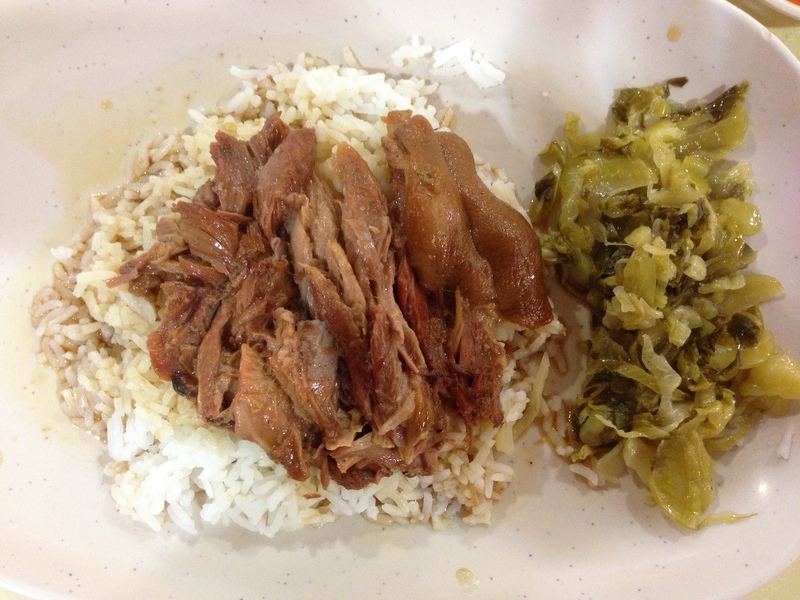 Pork leg on rice with some salted vegetables. 50 Baht for one portion. You can add egg if you want and other things, but I just like the meat. At 50 baht, sometimes I just get two portions and only eat one portion of rice and veggie, but both portions of the meat. This is one portion. 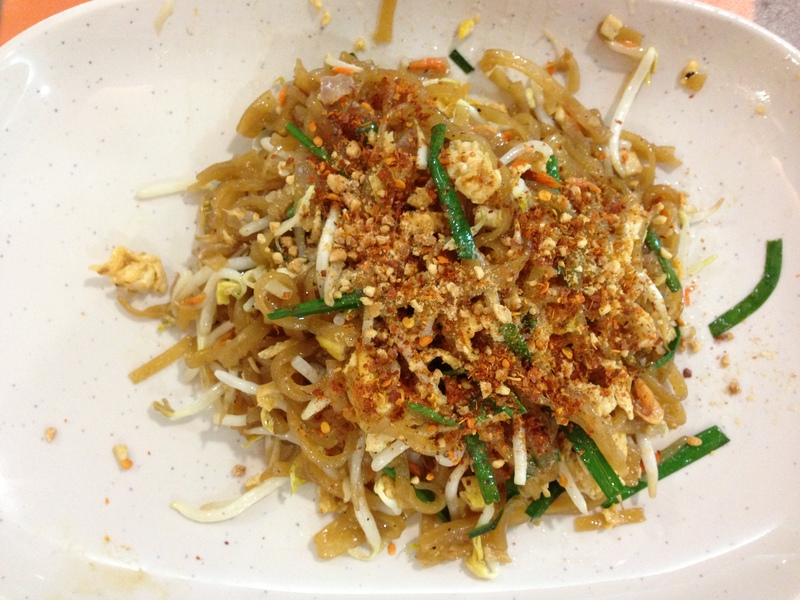 Then you can get Pad Thai. Plain with no meat is 50 baht, which is what I got. But add chicken or prawns, it’s 70 baht. What a great deal. I wish I had more room to eat, 100 baht for Mango with Sticky Rice, which I just could not eat. Shop and eat for cheap. What more can you want at MBK? Posted in BangkokTagged Green Curry, Pad ThaiBookmark the permalink.